Remote Desktop Virtualisation is a feature of Windows that allows your users to run windows running remotely from server hardware. This is almost an identical concept with how Terminal Services (a.k.a. 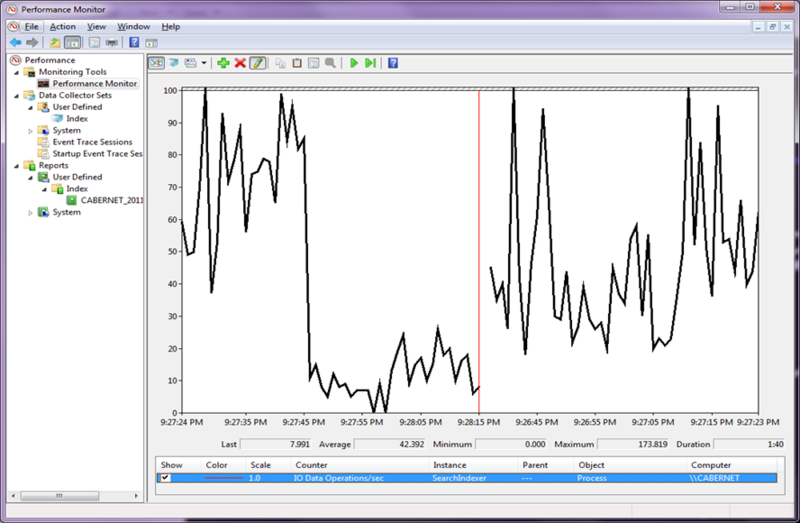 Remote Desktop Services, a.k.a. Remote Desktop Session Host) works where the users is sending keyboard and mouse messaged to the server and then receives the screen updates back. It is so similar in fact that both solution use the Remote Desktop Client and they also share the same Windows Server Remote Desktop Connection Broker role for users to connect to the computer they require. The key difference is that the computer that the user connects to is a completely separate virtual copy of Windows 7 running in Hyper-V on the server. This allows the users to save files and settings to their computer as it can be setup so that users have a “persistent” 1 to 1 relationship to their virtual computer much like they have a 1 to 1 relation with their own computer. This also means that the user is connecting to an actual copy of Windows 7 and not Window Server 2008 R2 so applications compatibility is also better. ATTENTION!!! A lot of the setting in this post refer to a NATIVE VDI implementation without the third party enhancements such as Citrix XenDesktop. If you are implementing Citrix or VMWare VDI solution some components of this post will not apply. 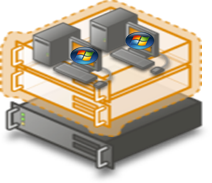 VDI can also be configured in two ways depending on your companies configuration. This method is just has a bunch of identical Virtual Machines that a user will randomly connect to when they logon. Then when that user is logged off the session is scrubbed and there is no latent configuration change made. This method consume less disk space as changes are never kept. But it also has the disadvantage that the user has less ability to customize their computer such as installing their own application. This method has a bunch of Virtual Machines configured that have a persistent 1 to 1 relation with the user when they logon. 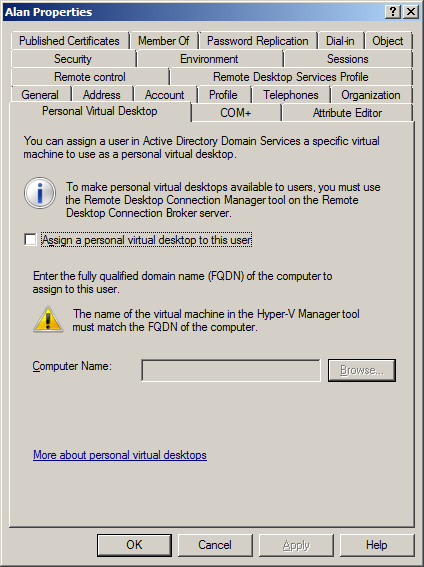 This affinity with a specific VDI computer is configured via the users account under the new “Personal Virtual Desktop” tab. Note: You have to be running Windows Server 2008 R2 service pack 1 for this new tab to appear. If the computer is not started when the user is logged on the back end automatically starts it. When the user logs off the computer any changes made to the drive are saved for next time. This method has the advantage of allowing the users to be an admin of their own VDI computer to make changes and install whatever software they like. However the disadvantage of this is that it has to store all the changes for the users thus consuming far more disk space. Note: For the rest of the document I will refer to the two types of VID computers as either “Pooled” or “Personal” however you can obviously substitute the name that you use to refer to these types of configurations for your implementation. VDI also has the overall disadvantage of having additional system overhead as there are multiple separate copies of Windows 7 running at the same time on the same server all with their own memory space. 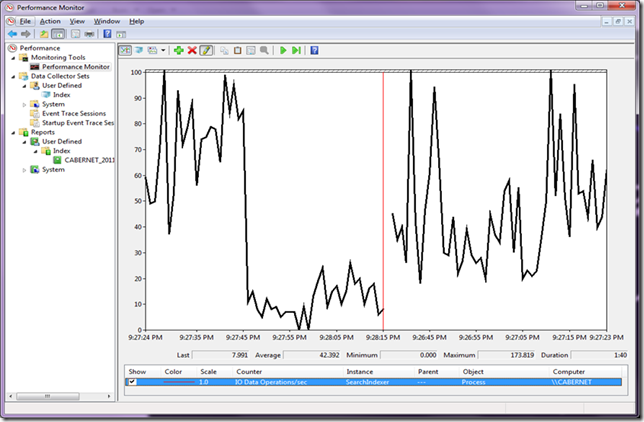 Recently there has been some great improvements with the new Dynamics Memory feature in Windows Server 2008 R2 Service Pack 1 which has yield a 40% increase in density (Reference http://channel9.msdn.com/Events/TechEd/NorthAmerica/2011/VIR324 ). That all being said when you compare the user density between of RDS and VDI you STILL only get about half the number of users on the same hardware (See http://www.twitter.com/mkleef/status/136969504185004032 ). Note: Before I begin however do note that this guidance mainly covers the configuration of the VM’s running in your VDI infrastructure and is not about configuring the underlying VDI infrastructure. As you can see from the image below the Disk IO on a VDI system is in extreme demand and constraint hit first when scaling. Hey Alan, super awesome cool article ! Many thanks. Havs anyone heard of a way to collect the user profile without installing a agent on the end users machines? 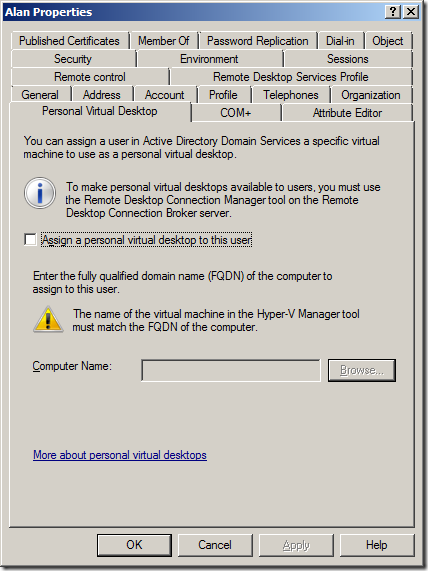 Best article about virtual desktop and group policy best pracice I came across on the internet….